The first African-American has been named as the top leader of the Tennessee Highway Patrol, a veteran of the agency who was responsible for its daily operations for the past seven years. Gov. 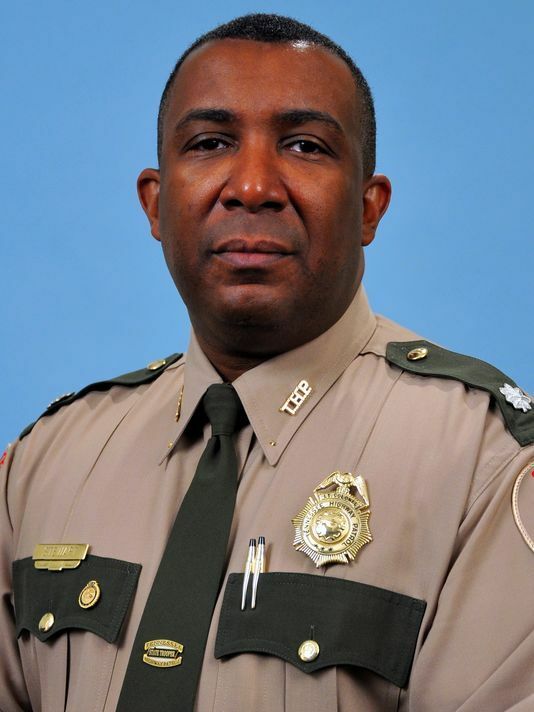 Bill Haslam and Department of Safety and Homeland Security Commissioner David W. Purkey announced Lt. Col. Dereck Stewart as colonel Wednesday, The Tennessean reported . Stewart will take over as new colonel of the agency June 1. Col. Tracy Trott will retire after 40 years of service on May 31. Haslam said it had been an honor to work with Trott. Under Trott’s leadership, the highway patrol has grown to a force of more than 900 troopers and has been the recipient of several national awards, according to a Facebook post from the agency. Purkey noted that Tennessee has experienced the lowest traffic fatality rates since 1963 during Trott’s tenure. Stewart, who was promoted to lieutenant colonel in 2011 after serving in various agency roles, called Trott a friend and mentor. Stewart is a graduate of the FBI National Academy, the FBI Law Enforcement Executive Development Association and the Northwestern University School of Police Staff and Command. He holds a bachelor’s degree from Middle Tennessee State University.